The United Kingdom is not exceptional regarding slots popularity. 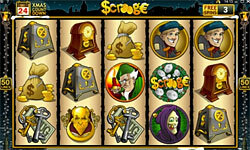 The UK slots machine provision is considered to be ruled by the Gambling Act affirmed in 2005. The Act is constructed taking into account the previous variant of it released in 1968. Thus, the gambling establishments under the provisions of the letter document were allowed to use some particular categories of the slots. Thus, according to the current legislation, slots in UK are tending to be divided into the groups. This category of machines was designated for the super casino exploitation. Manchester was chosen as the planned single location of gambling. However, due to the political course of Gordon Brown there were no lawful A category slots remained. This category of games is subdivided into the other groups. However the differences in games like B1, B4 or B3 are mostly in prizes and the stake defined. For example, B2 slots are betting terminals with fixed odds and have different prize and also stake rules. These slots can be found mainly in licensed bookmakers, betting shops in electronic roulette format. Such games are also based on the random number generator. The gamer can be given the opportunity to hold before the spinning of one or more reels, if the reels won't be spun in the next game, however retain instead its set at the prior spin. Holding two or more reels is considered to increase the winnings. The gamer can also be given a sub game called a nudge. It is considered to be the single rotation of reels chosen by the gamer. The most significant is the fact that slots machine cheats, especially in online casinos by means of newsletters emailed for subscribers can be used in order to produce an illusion of the gamer's advantage. In fact in reality the percentage remains the same. Thus, the most widely used cheating trick is called after nudge hold. According to it the chances of the player that he wins after the unsuccessful sub game increase.